Popular PDX landmark closes on September 8 for six months of expansion construction. As summer’s verdant foliage turns to autumn’s colors, the Portland Japanese Garden will temporarily close to visitors for six months of construction and expansion. From September 8, 2015-March 1, 2016, the Garden will engage in the earliest stages of an exciting, once-in-a-generation expansion. “Many people have asked us why the Garden is expanding” said CEO Stephen Bloom. They don’t realize that the Garden now receives over 300,000 visitors a year. When it first opened 50 years ago, there were only 28,000 visitors. With a tenfold increase in visitation, we need somewhere to put all those extra people.” By reusing existing space, the Garden will add seven new garden spaces and build three LEED-certified buildings at the Portland destination. The Cultural Crossing expansion plans reflect this increased interest in Japanese garden arts, adding attractions such as a tea house, art gallery, and a classroom for lectures and seminars on Japanese culture. 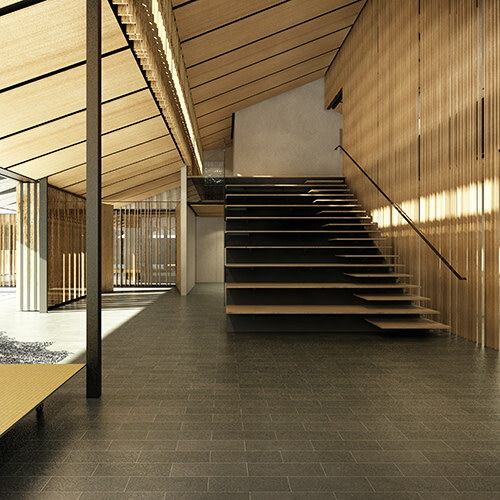 Artist’s rendering of Cultural Village, which will include classrooms, a library, and an authentic Japanese Tea Café. The new buildings’ design and placement echoes the monzenmachi, or “gate-front towns” common near shrines in Japan. As pilgrims approach a shrine, they pause outside the gates of the holy site to refresh themselves after their journey. Modern Japanese monzenmachi might include a teahouse, food carts, or simple benches and shelters for visitors. The shrine itself, hidden behind the gates, remains separate from this busy, vibrant social space. “To continue being a haven of serenity, this project is designed to take the liveliness of social experiences out of the Garden, freeing it up to be a quiet, reverent space,” said Cynthia Haruyama, the Garden’s Deputy Director. “The Portland Japanese Garden’s careful growth is a very important cultural effort, not only for Portland but also for the U.S. and Japan,” says project architect, Kengo Kuma. Visitors can return in March – just in time for cherry blossom season – and once again stroll through the original 5.5 acre garden, with its iconic arching Moon Bridge, reflecting and flowing pools, and contemplative Sand & Stone Garden. Expansion plans focus outside the Garden’s gates, and will demonstrate a wider array of Japanese garden styles and techniques. 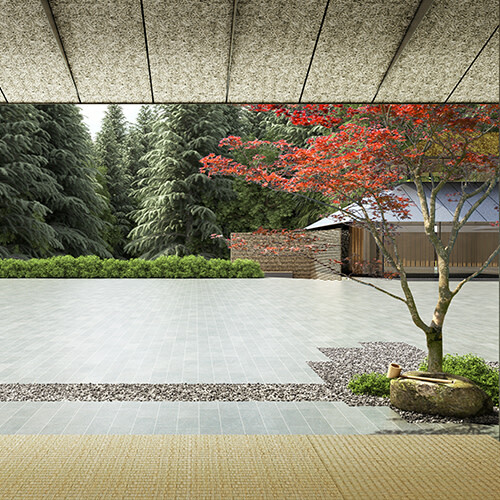 Once complete in Spring 2017, visitors will be able to enjoy a Water Garden, a Tsubo-Niwa Garden, a Bonsai Terrace, and a Chabana Garden with an Oregon Basalt feature. 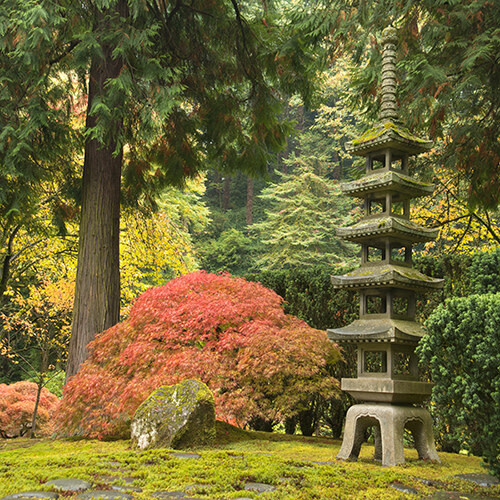 As a place that is both inspiring and relaxing, the Portland Japanese Garden offers visitors a unique experience in an urban setting. The Cultural Crossing expansion will add to the Garden’s existing visitor facilities, as well as preserving Japanese traditions for generations to come. 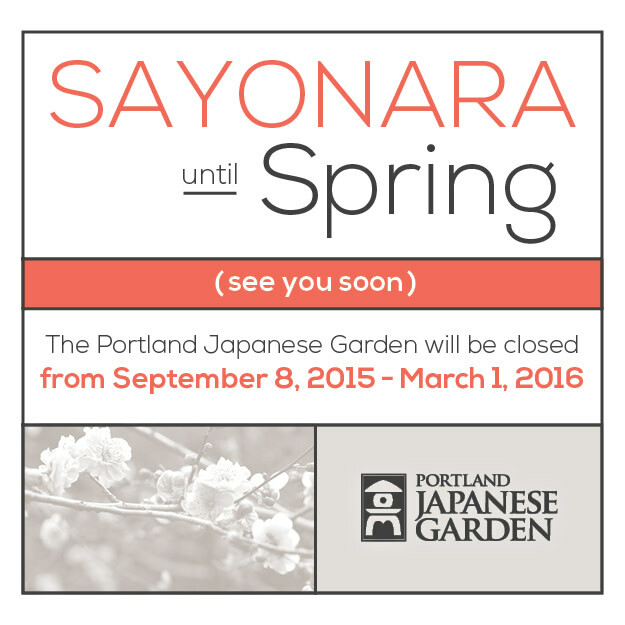 The Garden will reopen on March 1, 2016, just in time for the spring’s blossoms. The new construction outside the Garden gates is expected to be complete in spring 2017. 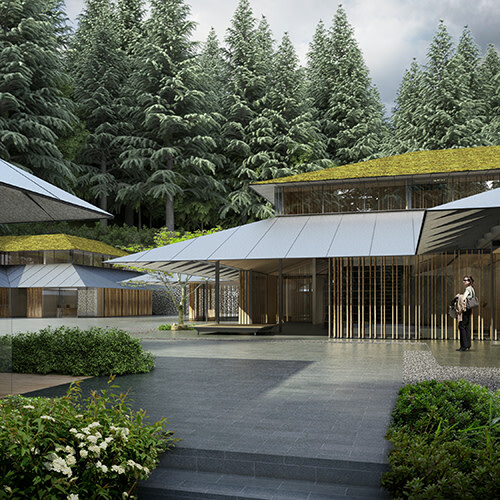 For updates on the expansion, follow the Portland Japanese Garden on Twitter, Tumblr, Facebook, and on the web at http://culturalcrossing.com/stay-updated.